The Mercedes-Benz S-Class has been selected as the ‘Best Luxury Car’ by the judges of the UK Car of the Year. In this Press Release, judges comment on the S-Class’ setting new benchmarks in technology, safety, and refinement. 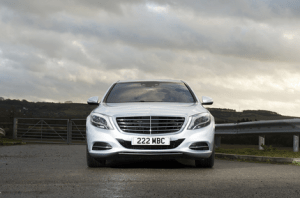 Touted as being the ‘best car in the world’, why not hire one our Mercedes S-Class for your next executive travel venture? See if you agree… Contact us for more information.